Enterprise Insurance Company was part of the Mission Insurance Company out of the state of California. The Mission Insurance Companies were forced into liquidation on February 24, 1987, after the court ordered conservation in 1985. The rehabilitation effort was unfortunately unsuccessful, and Enterprise Insurance was completely closed as of December 17, 2004. The Mission Insurance Companies wrote Primary, Excess, and Surplus insurance and reinsurance in all 50 states. 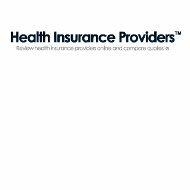 The company was one of the United States top insurance writers during the 1980’s, and at one time handled over 20,000 policies. Unfortunately, the company began having difficulties due to its competitors. The company also suffered due to multiple asbestos and environmental pollution claims. Prior to its demise, Enterprise Insurance companies handled its business through general agents who wrote the business under Mission’s name and then looked at other companies to acquire the risk. Mission had established guidelines of what the general agents could write, but it is questionable of whether these limitations were followed. At one time, Mission Insurance Companies and its subsidiaries, like Enterprise, conducted its business from 39 offices in 24 states with more than 2,000 employees. Due to the liquidation process of Enterprise Insurance Company, there were many claims still left outstanding. The state of California mandated that all claims be closed by December 31, 2003. Through various appeals, claims were finally settled by August 2, 2004. However, the Insurance Commissioner granted the court’s appeal to reopen Enterprise on June 30, 2006, to provide additional distributions to policyholders. The final distribution was made on August 4, 2006. The Insurance Commissioner’s goal was to make sure policyholders and claimants received all monies due to them. Due to the efforts of the Insurance Commissioner, this goal became a reality. If you held an insurance policy from Enterprise Insurance or another of Mission Insurance’s subsidiaries and do not reside in the state of California, please contact your insurance commissioner or state guaranty fund for further assistance. The liquidation of Mission Insurance’s companies took over 21 years and was considered to be the largest insurance liquidation of its time. However, there are many strong insurance agencies in existence today. Take a moment to get online health insurance quotes from active providers by typing your zip code into the free rates tool now!